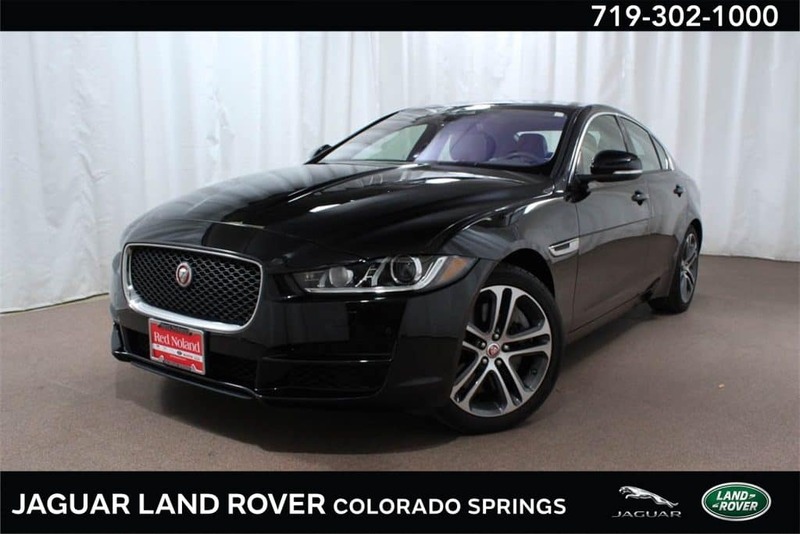 Arrive in style this Thanksgiving with a sleek Pre-Owned 2017 Jaguar XE Premium 35T for sale now at Jaguar Colorado Springs. This clean, gently-used all-wheel drive sedan is a one-owner vehicle with extremely low miles! The 345 horsepower 3.0L supercharged V6 engine is both powerful and efficient, earning an estimated 20 MPG in the city and 29 MPG on the highway. The luxurious cabin is loaded with best-in-class standard and premium features including a premium Meridian 380W 11-speaker sound system, Blind Spot Monitor with close vehicle sensor, power moonroof, Jaguar InControl infotainment system with Navigation, rearview camera, premium Cold Climate Package, comfortable front memory seats, front and rear parking aids, Sirius XM satellite radio, and much more! This sporty premium sedan is also still under Jaguar’s EliteCare manufacturer’s warranty. Stop in to Jaguar Colorado Springs for more information on this elegant 2017 Jaguar XE Premium 35T and take a test drive. Our expert sales staff and financial department is ready to assist you with your purchase today!